I like the breadcrumbs as a visual element, but I wouldn’t change the background of the arrows, I would maybe make the arrow color a bit darker to signal their “inactivity”. I really like the dark underline! it brings back a bit of “depth” to the design. Would you mind creating a branch with this proposal: Call for participation: an ubuntu default theme lead by the community? We also had that one, the second is just with a separator like @madsrh got it in the mockups. This is like other distributions makes it, but it is definitely less starter friendly but fits the design more. I don’t like the loose concept and I’d really like to revert the headerbar buttons to the way they used to be: linked headerbar buttons are not flat, while unlinked ones are. 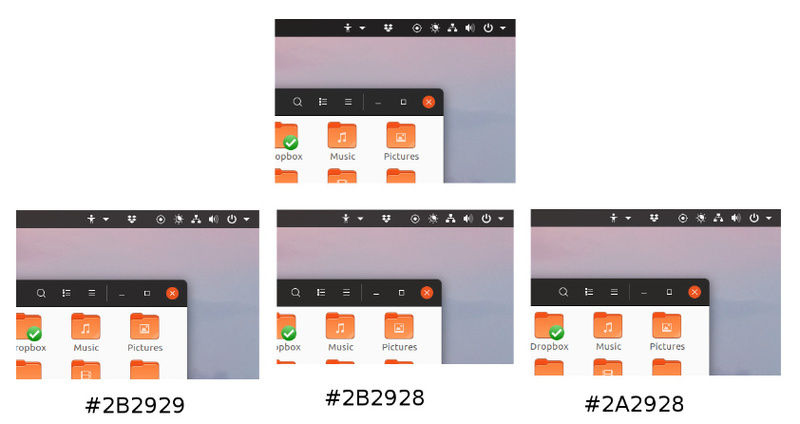 For programs like Lollypop and Rhythmbox, all flat buttons are fine but for programs like Geary and anything more productivity focused, you end up with what can be a ton of loose buttons that looks like something you should blame the developer for. And we unfortunately can’t insert separators which we can use to sort of fix the issue. As teased a week ago, I’ve looked and find some design documents about Unity 8 and phone work that we can publish. I selected the ones relevant here, and with agreement with the design team, we made them public. I hope this could be of any use! I can’t seem to access this one? I’ve been looking at more of the #111111 Unity8 stuff lately, which makes this feel warm and fuzzy But please do suggest something!!! You know me, I like it cold and dark so I vote for the third option #232323. More seriously, I really think it looks sharp and clean. I know the you Carlo don’t like the dark and we don’t have to agree - non of these will keep me up at night. This is working for me, thanks! I thus changed those blueish grey to a brownish one, by just swapping the +2 offset on the red, like x+2, x, x. This ended up in a way warmer feeling overall (which seemed more “ubuntu” to me. So, here the results. 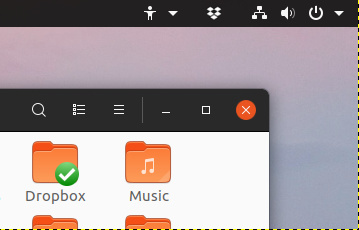 Note that I used the same color for headerbar and top panel in gnome-shell (which I suggest to do), but the latter is slightly transparent and looks a bit different. I like the simple x+2, really not as cold as the current one. IMHO, the (x+2, x, x-2) to be a little bit too brownish or anything? Maybe we can just try with x+1 as well (and (x+1, x, x-1))? The next milestone is approaching and so I will again throw some thought into the ring. Checkboxes and radioboxes - we have two designs now - the one in “Files” an the one for example in "Tweaks"
I would prefer the right one as default, this follows the overall design with defined color focus points. Breadcrumbs? What became of my suggestion and what about it? Actual it still is a grey underline. The Dock is still not where it should be. 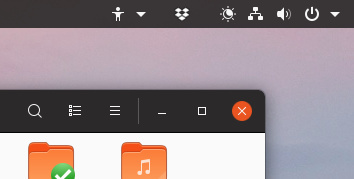 Can we keep the inner-shadow only on the top of the Dock? 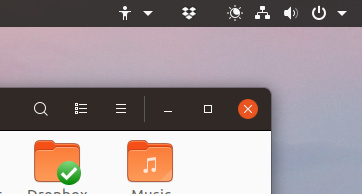 What about a smaller app-launcher button, but with a shadow on the top instead of a straight background? More transparency on the app-launcher button background? I know these lists are not handy to work and discuss, I also created some Issues in github to discuss the single points. mockup with dark bottom line is ready in one of my branches. I’m not totally happy with the highlight on the arrows, but I can push it so we have something to see and discuss. The Dock is still not where it should be. Looking good! My personal choice would be between #2B2929 and #2A2928. What about #2A2929 (maybe too subtile)? If so, I think this kind of pattern for grey should be used everywhere.